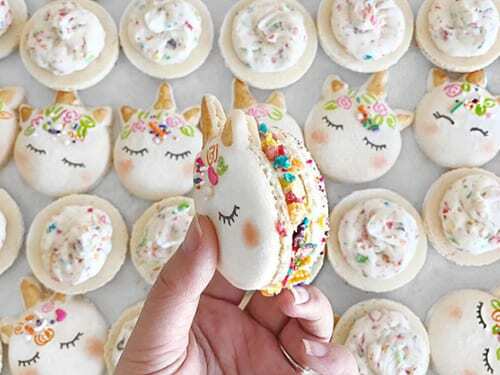 Unicorn food is any drink or food item that has been decorated with super colorful dye and accessories such as sprinkles, small pieces of fruit cut into charming shapes, or basically anything pastel. 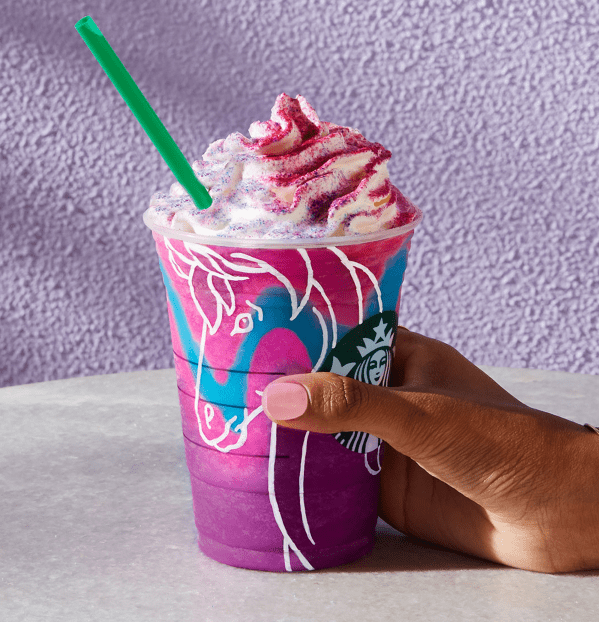 You may have seen unicorn food on various social media platforms, usually originating on Instagram and shared on Facebook, Twitter, and Pinterest, to name a few. This trend was started by, you guessed it, millennials. Since I am a millennial I’m going to speak in ‘we’ here. “Ever since I realized that adding beet juice to food would turn it into the most magnificent shade of hot pink, I was hooked. My goal is to take healthy food and make it fun and exciting, brightening it up with a few (or many) pops of color.” The rest, as they say, is history. While the trend started out with toast, it has since moved on to bagels, cupcakes, lattes, spreads and cereal, to name a few. People are going crazy over the aesthetically pleasing food. However, we must say, Starbucks’ drink was not in the least bit in touch with Waugh’s original plan to make healthy food more thrilling, it was actually one of the sweetest drinks we had ever tasted, and not in a good way. So to answer the question of why this trend is such a hit – it’s because we millennials LOVE pretty food. 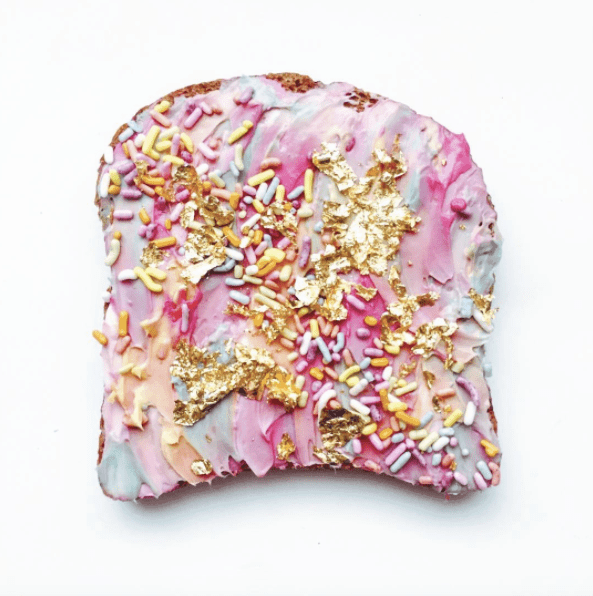 We are the generation that snaps photos of everything we eat, and the fact that mermaid and unicorn food is so full of color and pizzazz makes us want to take a million more photos of it before gobbling it all down. 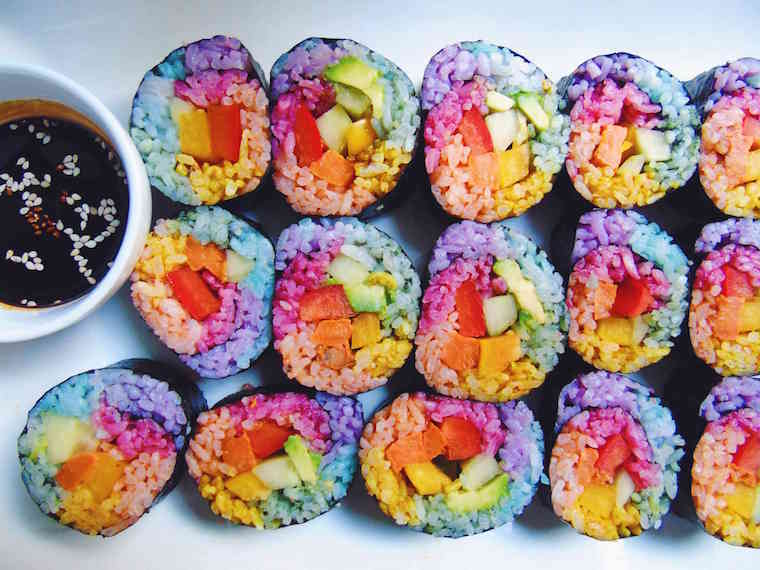 We are visual people, for better or worse (previous generations have this idea that millennials don’t read anymore, which is wrong), and the fact that unicorn food is all about healthy food (at least in theory) camouflaged by a pop of pastel or neon color, makes us insane over it.